The circus heads to the Nurburgring in Germany for the European Grand Prix, with a rejuvenated Ferrari tracking down championship leaders McLaren. The Nurburgring is a standard European track, which means that overtaking is a tough proposition unless it rains. With a mix of corners, every aspect of the car is equally exercised, so a good balance, clean acceleration and stability under breaking is a definite requirement for going fast. Being aggressive over the kerbs requires solid bump handling, but is necessary to get the absolute most out of the lap. With a tight, bumpy opening corner, the start of the race is typically eventful, so expect some casualties as things get under way: this is yet another reason why it is important to qualify well, in order to escape the anticipated mayhem. This year, there will probably be showers during the race, which should be interesting, as those who react best to changing circumstances will benefit very well. It also means that overtaking on track could feature - if it does not rain, then the bulk of the passing will be the result of strategic decisions on the pit sequences. 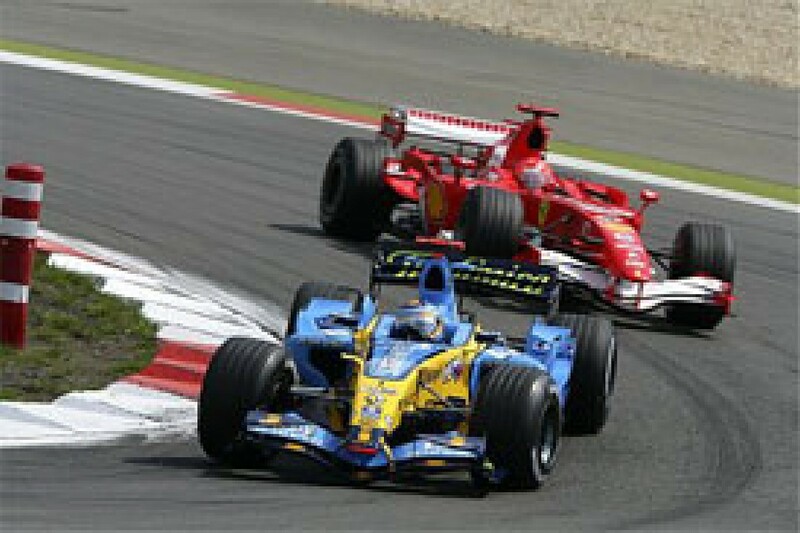 In 2006, the pace of Ferrari in practice has Renault sit up and take notice: Alonso put the car on pole, leading Schumacher's Ferrari by two tenths. Massa followed, with Barrichello alongside. Raikkonen put his McLaren fifth, alongside Button, ahead of Trulli and Villeneuve; Fisichella was eighth after being impeded by the Canadian - who had is Q3 times deleted as a result. Rosberg qualified twelfth, and was pushed back to 22nd after an engine change. Alonso made a clean start, whilst Schumacher fended off Massa to take second and third: though a blinding start from Button nearly put that in doubt, before the Honda settled for fourth. Further back, mayhem resulted when Ralf Schumacher was squeezed between Liuzzi and Coulthard, resulting in both the latter being damaged - and Sato slotting around them for twelfth as the pack struggled to work out how to pass cleanly. Liuzzi shortly span out, causing a Safety Car period, and Coulthard retired. On the restart, Schumacher stuck to Alonso, stalking him to the pitstops, which occurred a lap apart; the Renault was short fuelled whilst the Ferrari team clearly opted for a long middle stint. Massa lost touch as he took time to pass Trulli on his out-lap, as Raikkonen made the most of his heavy fuel load to extend a lead, though he fell off the pace after his stop. Schumacher hunted down Alonso, and made the most of his extra fuel to pass in the next stop. That sequence saw Raikkonen emerge close to Massa, and he proceeded to pressure the Ferrari, but it was to little avail, and the procession finished in sequence. Showers are predicted throughout the weekend - which should help to keep temperatures moderate. Should the showers not manifest, the environment is expected to get very warm. As a standard European circuit, a two-stop approach is expected from most of the front-runners, with a collection of single stoppers attempting to pick up places by running very long. A three-stop approach is unlikely to pay off, as it will certainly require overtaking, which is non-trivial. If any team are anticipating rain during the race, they are going to put more fuel in the car in order to extend flexibility, and the weather is notoriously difficult to predict here, so it would be no surprise to find most drivers are carrying a little more fuel than usual. After the last couple of races, Ferrari are expected to maintain their edge over McLaren, even though they are lagging in the championships. It should be an interesting battle between the outfits, who ought to have similar performance here, and four drivers all very motivated to win. Behind this duo, the space occupied by BMW-Sauber is starting to look more interesting as Renault and Toyota are both now claiming to be closing the gap; their qualifying times lend credence to these claims, but they are still to deliver on race day. Williams, Honda and Red Bull are heading up the remainder of the midfield, each with some chance of pushing a car into the points, but really there to make sure that Toro Rosso, Super Aguri and Spyker have no real chance of the same opportunity. Traction is very important at the Nurburgring, and during the race it's very hard for the rear tyres. We've had nine dry races this year, and it would be very interesting to have a wet race now. At the Nurburgring the weather can change very quickly! I'm happy with both options, but I think our chances will better if it rains. The first corner is a tight hairpin. You're braking a little bit blind because it goes over a little bump, you can't really see the apex. You brake very late and go down to second gear. It's quite an interesting corner for the start, as normally there's always an accident! Then you go in the new Mercedes arena. It's a very tricky sector, because there's a left-hander that's blind, and you can't really see when you have to turn in. Then you go downhill and brake for the next left-hander, which is second gear. It's a really tight one and it's very important to have a good exit for the following right-hander, which is flat. Then you go on a small straight, so you need to carry a lot of speed. You are now back on the old circuit, and you come to a complex. There's a really quick left-hander down the hill, taken in fifth gear, followed by the right-hander which is in third. You have to make a compromise, either going in very fast into the first one, or going in a little bit slower in the first one and then carrying a lot of speed out of the second one onto the straight. There are always two different lines. I think they're both nearly the same, but it's not the easiest combination. Then you go down the hill to the Dunlop Hairpin. It's a very long corner, even more than 180 degrees - probably about 200 degrees, because it closes a little bit down in the end. It's important to carry a lot of speed into this corner because it's so long, and that's where you will make the time. Maybe it's not so important to brake as late as possible, just to make sure you have some good apex speed. It's taken in second gear. You have to be very early on the power because it goes up the hill, so you need absolutely every extra rev to carry more speed to gain some time up the hill. Then there's the left/right chicane, which is very easy flat these days. You're in sixth gear, changing to seventh already. With the V10 it was more of a challenge, but with more downforce and not so much horsepower, it's easier. Then there's another left/right combination. They are very quick corners, and a little bit banked, so you're very, very fast there. You're taking them in fourth gear, and you can do both at the maximum. You don't need to save something in the first for the second one or whatever, you just go as quickly as possible through the first one. It's followed by a really nice straight, with a little kink. You get up to seventh and then you arrive at the chicane. The nice thing there is that the braking area is up the hill, so you can brake very late. You're arriving there at 300km/h, and you're braking at maybe 65-70 metres for a chicane which is taken at about 80km/h at the apex. It's really hard deceleration, and it's an absolutely fantastic feeling to brake so late. You're in second gear again, and you have to be careful because they've changed the kerbs over the years and you can't really attack them any more, because otherwise your front wing will be broken. There's a quick exit and you accelerate to fourth gear, and then there's the last corner. It's a long right-hander that is taken in third, and is very difficult. You just touch the brakes a little bit and carry a lot of speed in, and you go back on the power and run really wide onto the big kerbs on the outside. In my experience it's one of the most difficult corners, because if you go in too quickly you get understeer in the middle, and sometimes you have a little bit of oversteer in the entry. It's really easy to make a mistake in this corner and lose some time. Having seen Ferrari bounce back and win the last two races, the last thing McLaren need is to be distracted, but the 'Stepneygate' saga continues to do just that, at least at the top level. 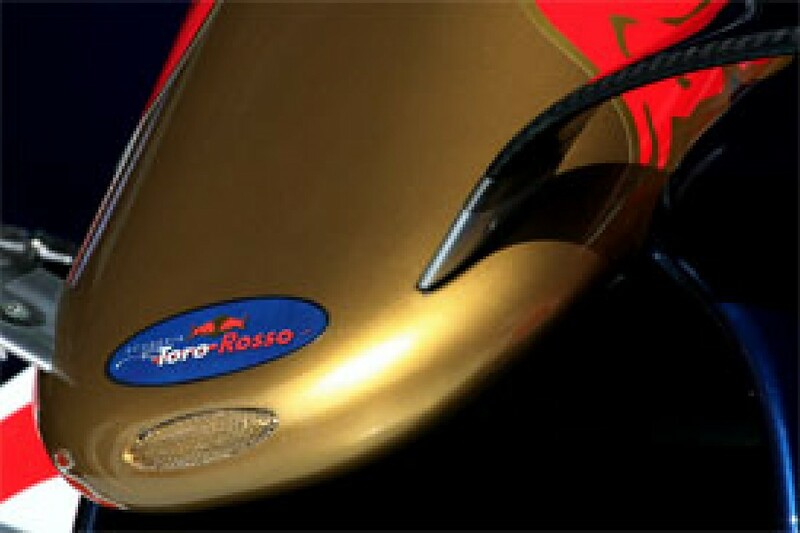 That said, the team have been working hard to get back on top of their performance deficit to the Italian marque. They went well at the Spa test, and have to be hoping to have made enough of a difference to challenge Ferrari at the Nurburgring, though the team are tight-lipped about the developments that will be coming through for this weekend. This circuit has not been kind to McLaren for some time; they last won there in 1998 with Mika Hakkinen, and seem prone to having the car break - for example, the suspension giving way under Raikkonen in 2005, as he led into the final lap. But when they do run, they are usually very quick. 1. Fernando Alonso: still lagging behind his rookie teammate, the pressure is mounting on Alonso to illustrate his double champion pedigree, and start closing the gap. The perfect way to do so would be by winning - but that requires the team to have improved the cars race day pace in order to beat Ferrari. 2. Lewis Hamilton: always quick at the Nurburgring when racing there in previous formulae, Hamilton might be able to pull out his third win of the season, provided his platform is on a par with Ferrari. But with a twelve point advantage over his teammate in the world championship, beating Alonso to preserve the lead has to be his primary objective. 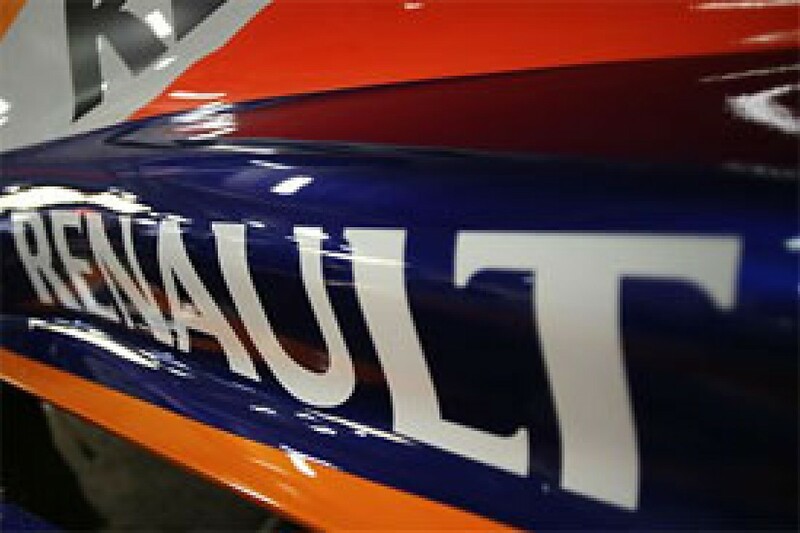 After a disappointing start to the season, Renault finally look like they are starting to get their act back together. Silverstone started out looking like a decent weekend, with both drivers comfortably making the final qualifying session before finishing seventh and eighth, apparently failing to close the gap to BMW, and perhaps even losing ground to the Toyotas, which looked pretty useful whilst running. Last year, the team fought hard at the Nurburgring, but were outclassed by Ferrari; this is not a circuit where they have always shone, though Alonso won in 2005: accordingly, they will do well to take the fight to the top three teams, and are likely to struggle to finish in the points. 3. Giancarlo Fisichella: the team's senior driver is working hard this year, and will be compelled to show more of his mettle if he wants to help the team progress in the championship, as this is going to be a tough outing: Q3 is not only achievable, but pretty much a requirement if he is to finish in the points. 4. Heikki Kovalainen: the rookie is starting to show some good pace, which is good news as the circus heads to the Nurburgring, a circuit he mastered effectively in GP2. It will be interesting to see if any of that experience translates to F1. Objectives: Get the cars in to Q3 and finishing in the points. Even with the spy saga going on, the focus of the Ferrari team seems to remain on the season at hand, with a decent showing in the recent Spa test. 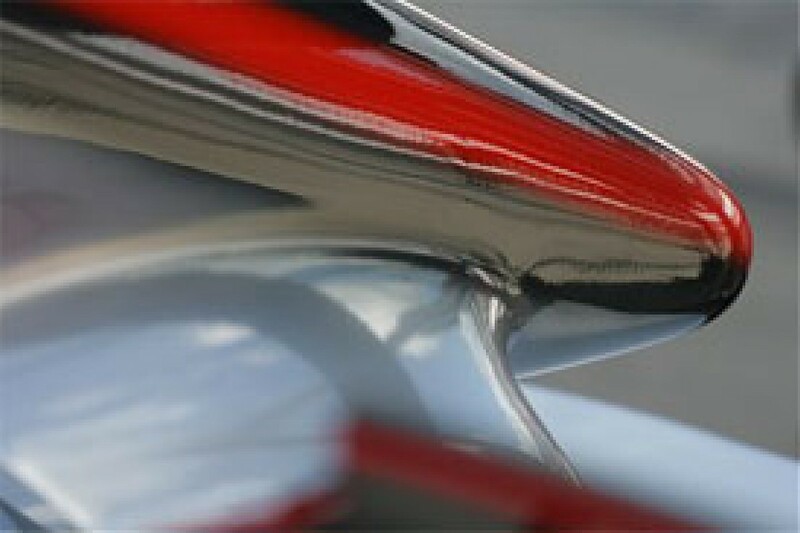 The team have new components coming through and are clearly motivated to chase McLaren in the championships. The car is probably the fastest on the grid right now, though reliability seems to be the biggest problem: if they can keep the show together this weekend then they have every chance of taking the top two spots on the podium and closing down the championship gaps to Hamilton and McLaren. 5. Felipe Massa: after stalling on the grid in Silverstone, Massa drove the wheels off the car to finish fifth, but remained disappointed, as he believed the car was good enough to win - expect a strong weekend as he seeks redress at the Nurburgring. 6. Kimi Raikkonen: the Nurburgring has not been kind to Raikkonen, who has finished only half his races there - including the spectacular suspension failure whilst leading at the start of the final lap in 2005. With Ferrari firing on all cylinders again, he will be looking to change that story this weekend. A year ago, the European Grand Prix was the first clear indication that Honda was falling away from the pace - this year, they are performing far worse, but finally showing some indication of getting back in to gear. Even though the car is disappointing, they are working hard at every outing to maximise results: at Silverstone, a difficult qualifying left them working a strategy to move forwards on race day, and they made steady progress. The team are determined not to keep struggling, and are hiring for the development team, signing up more senior staff for the challenge ahead, though they lost Gil de Ferran in the shuffle. 7. Jenson Button: back problems marred Button's British Grand Prix weekend, but a decent race saw him finish alongside his teammate - the car is clearly off the pace in qualifying, which bodes ill for the Briton, who doesn't particularly get on with the Nurburgring. Should he manage a decent qualifying, a better race result is in prospect. 8. Rubens Barrichello: the 2002 winner has a halfway decent record at the Nurburgring, though his qualifying pace there is occasionally suspect. If the team can get the car properly balanced, he might be able to drag it into the points. Objectives: Get both cars out of Q1 and hope to get one into the points on Sunday. Last season, the race was not good to Sauber, though they showed some promising pace: Heidfeld was off his game, whilst Villeneuve struggled to keep the places he made in qualifying. After a strong start to the season, BMW Sauber have worked hard to develop the car and discovered they are not going to close the gap to the leaders before the end of the year. More worrying for the marque, they are facing stiffer competition from the likes of Renault and Toyota, so staying ahead of these teams is becoming the bigger challenge. 9. Nick Heidfeld: usually a strong racer at the Nurburgring, which is a home event for the German, there is every reason to expect Heidfeld to show his usual great form this weekend: top six qualifying and perhaps fourth in the race should be expected. 10. 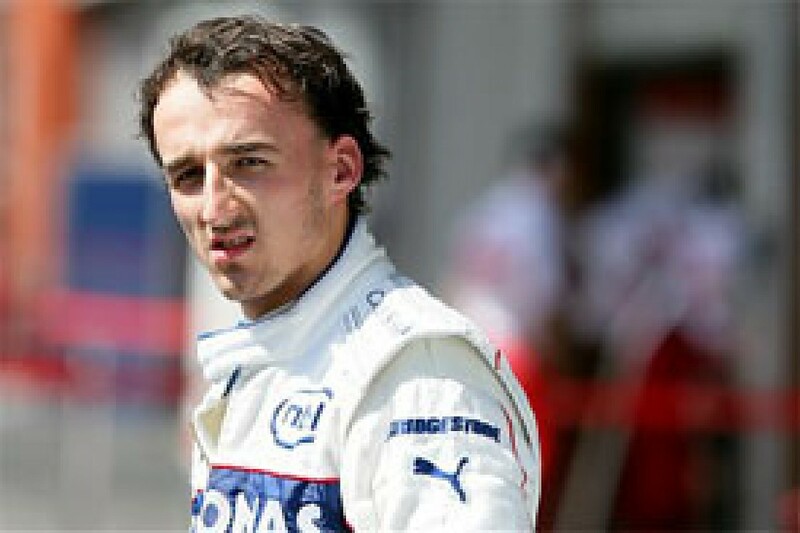 Robert Kubica: after a slightly slow start to his season, Kubica is getting right back on form and showing ever improving maturity in his racing - he is finally on the pace of his teammate on most outings. Objectives: Both cars in the top six in qualifying, and top five in the race. It was not a vintage outing for Toyota last year, as Trulli qualified well but had a bad race, and Schumacher's car failed when he was on course for a sixth place finish. The car is seemingly quicker this year - at least in the Italian's hands - but the team are struggling to find the right balance with the latest revisions, with reliability problems continuing to dog their potential. Since the last outing, the team have tested hard with a view to understanding the balance problems and resolve their poor reliability record. They seem to have enough potential to start taking the race to BMW and get both cars into the points each weekend, but they are not delivering - perhaps this is the weekend they can turn it all around. 11. Ralf Schumacher: despite finishing only four of his ten Nurburgring outings, including three collisions and a spin to his name, Ralf is a past winner here, courtesy of the 2003 outing with Williams, so the German has a mixed record. 12. Jarno Trulli: although he has had a couple of decent outings here, Trulli usually shows his best on Saturday in qualifying, then spends the race holding on for as many points as possible. Accordingly, points will probably only be forthcoming if he can get the car on the first three rows. Possible, but unlikely. Objectives: Get both cars into Q3, fight BMW-Sauber and chase points. Showing steadily improving performances, the Red Bull outfit came close to making Q3 at the British Grand Prix, before an indifferent race day saw Webber's differential fail and Coulthard come home after the Hondas. All told, the weekend was a bit of a let down, as Honda, Toyota and Renault have all improved faster than Red Bull. There is not a lot to come for the next race, so the pressure is on the drivers to have flawless performances if they are to score points, but that is why the team have a couple of experienced campaigners on board. 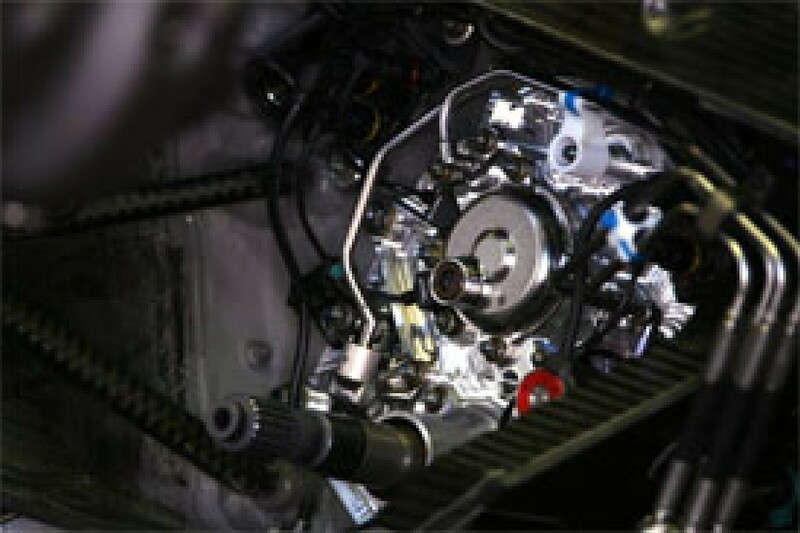 For their part, eliminating the mechanical breakdowns will be a critical element to capitalising on any opportunities that do present themselves. 14. David Coulthard: with a signed contract for next year in his possession, Coulthard can get back on to the task of driving - something he usually makes a decent job of at the Nurburgring, if he finishes, though a decent qualifying performance is going to be necessary if he is to finish in the points. 15. Mark Webber: although he has not finished on either of his previous visits to the Nurburgring, Webber usually has a decent race day, and will be expecting to make a couple of places from wherever he qualifies. so a decent outing on Saturday is key. Objectives: Get a car in to Q3 and finishing in the points. With both drivers looking forward to this weekend, the team are heading to the European Grand Prix with some optimism - certainly they should have a chance at scoring a point or two if they get everything right, something that did not happen last year, where both engines needed replacing before qualifying. That said, Webber could have made fifth, barring hydraulic failure, and Rosberg came home seventh. Pace was not too encouraging in the UK, with both drivers struggling to make much of an impression on the weekend, so it is imperative they nail the qualifying session on Saturday if they are to have any real chance of scoring points this time around. 16. Nico Rosberg: as a home event, the German is looking forward to some crowd support, which is justified, considering he has actually been racing the wheels off the car so far. This was a very strong race for Rosberg last year, finishing in the points from dead last, so another points finish would be par for the course. 17. Alex Wurz: as an Austrian, racing in Germany pretty much counts as a home event for Wurz, though he really has to do a better job of qualifying if he wants to be competitive here - perhaps they'll provide the lift he needs to finally perform at the level of his teammate on Saturday, in order for his Sunday performance to produce results. Objectives: Get both cars to Q2 or better - and at least one in the points. A year ago, the team made it into Q2 with Liuzzi, but his race start saw contact with Ralf Schumacher and an early retirement. Speed had a terrible qualifying, but decent race to finish tenth - so it was a good weekend overall. Repeating the performance this year could result in a decent outing: the drivers are capable of making Q2 if they get good runs in, which would put them in to a good position to fight for the final point, provided they can avoid the usual opening corner carnage, that is - and get their cars to the finish without mechanical issues. An interesting test with Sebastian Bourdais might help the drivers focus: clearly, the team are looking for input from elsewhere and can be expected to replace at least one of their drivers at the end of the year. 18. Vitantonio Liuzzi: a quiet outing in Britain is not helping Liuzzi make his case as the top dog in the team - though being outqualified by his teammate was put down to gearbox problems. A good run at the Nurburgring would help put him back on track. 19. Scott Speed: a promising weekend at Silverstone was marred by the Wurz collision, as Speed was clearly able to race with the Williams. A careful start to the next race is going to be paramount, as it is not going to be won at the first corner. Objectives: Get both cars to the finish - race Williams and Honda. Christijan Albers was not only failing to outperform his less experienced teammate, but one of his sponsors failed to deliver the goods, resulting in his departure from the team. Clearly, this has to be a distraction, as the speculation over potential replacements is compounded by the team's need to test the candidates. Last year, the team failed to impress at the Nurburgring, being convincingly slower than all but the Super Aguri outfit; this year, they are expected to be bottom of the pack, even if the revisions to their car pay off. 20. Markus Winkelhock: the German has shown good form in the DTM, and performed adequately in most of the series he has competed. With a one-off deal, he will at least have an opportunity to make an impact in the sport, though competing with his quick teammate is a huge undertaking. 21. Adrian Sutil: quick, but still making too many mistakes, Sutil will have a new, highly motivated teammate to contain this weekend. This is unlikely to be a problem, but he must get the car home in one piece. Objectives: Qualify and race anywhere other than last. Despite some brief moments of showing well last year, Super Aguri actually had a poor weekend, with both cars retiring early due to hydraulic problems. Montagny had replaced the rather slow Ide, but failed to impress when it mattered on his first outing, though he matched Sato in practice. This year, the team are in far better shape, but still struggle to beat anyone other than the Spykers; that said, since Honda introduced their updated chassis, they have been showing quite well against the senior outfit, particularly in qualifying. 22. Takuma Sato: quick and consistent, Sato has often shown a decent turn of pace at the Nurburgring, so he will be hoping to show something worthwhile again this year - particularly as his teammate is starting to put pressure on. 23. Anthony Davidson: although lacking much luck so far, Davidson is regularly showing himself to be as quick as his teammate, and ought to be fighting him all the way to the finish. Objectives: Beat the senior Honda outfit.